Khuda Buksh. A life insurance leadership case study. Khuda Buksh. A case study for life insurance leaership. My father, Aba, is 76 years old. He spent a large part of his professional life selling life insurance, first in the conventional form and then for the Takaful industry in Pakistan. The name Khuda Baksh was often repeated in our house, especially in front of his colleagues and friends but we never had the correct or complete context. It was only when he was engaged in 2009 – 2010 to do research on Mr. Khuda Buksh that we got a chance to hear the story first hand. When he finally started work on the research project he was already 71 years old and retired. But his loyalty to his old colleague and friend was so strong, his devotion to the cause of retelling the story of the most inspirational leader he had worked with so powerful, that he spent two years documenting the Khuda Baksh saga. The extract that follows is from the first edition of his book Challenge of Life Insurance Marketing – Business Applications, published in 2012. His research on Mr. Khuda Baksh was funded by the Khuda Buksh foundation and Mr. Buksh family and is part of a book published in Bangladesh on Mr. Khuda Baksh. Aba’s story and extract is part of the closing chapters of his book on Life Insurance Marketing. While editing and reviewing it I read it many times and I could trace every bit of the many lessons Aba has taught me about leadership, to Mr. Buksh’s influence over him. Even though the context and timeline for this is from another world, if you have an interest in leadership, there is a lot here, that is rare in the world. The background also serves as a great documentation of the origins of the life insurance industry in the Indo-Pak subcontinent. The extract is published with Aba’s permission and is available as a complete PDF for download and usage as a case study in a school or class room setting. If you are interested in using this as a leadership case study, please drop me a line to discuss logistics. In the meantime without further ado, in Aba’s own words, here is the biography of someone I never met but wish that I had. For his influence on my life, through the impact he had on my father’s, is clear and powerful. KHUDA BUKSH — A HISTORY, A LEGEND. There were four newly qualified Actuaries present when I visited the Actuarial Division of State Life to collect some information on Khuda Buksh. None of them knew Khuda Buksh. Subsequently, I met the Managing Director & Chief Executive Officer of Commercial Union Life Assurance Company (Pakistan) Limited , now Jubilee Life, and his deputy Chief Manager, Employees Benefits Plans. They were both dynamic young executives in their mid thirties who started their careers from State Life Insurance but, even they did not know who Khuda Buksh was! This article is dedicated for the sake of the new generation of insurance executives to the memory of an insurance icon, Khuda Buksh, whose untimely departure from this world retarded the progress of the life insurance industry in Pakistan and Bangladesh.Khuda Buksh’s life story is, in some ways, a narration of the insurance industry of Pakistan and Bangladesh from December 2nd 1935, the day he joined Oriental Government Security Life Assurance Company, till May 13th 1974, the day he left for his eternal abode. Khuda Buksh was the life and soul of the industry during this period. The British Indian Government, when pressed to start a state-run life assurance company argued against such a venture on several grounds. The late Duncan Slater, Fellow of the Institute of Actuaries, established the Oriental Government Security Life Assurance Co. Ltd. (OGSLA) in Calcutta in 1874. This company had no connection with Oriental Life Assurance Company, which eventually failed in 1834 – within sixteen years after its inception. OGSLA was successfully prevailed upon to offer life insurance policies to Indian lives. Its authorized and subscribed capital were Rupees one million and Rupees one hundred and fifty thousand, respectively. Eighty percent of the premium income was to be invested in the government securities. This gave tremendous confidence to the insurance seekers. Since then Indian enterprise made very good progress in Bengal, and leading entrepreneurs of the province took an active part in the development of insurance business. For some time the growth of life insurance in the subcontinent was identical with the growth of OGSLA. Two hundred and ninety-two (292) indigenous insurance companies were promoted in the subcontinent during the period 1818 to 1939 out of which one hundred and eleven (111) (Desai, G. R., Life Insurance in India, p. 16. ), closed their offices before passage of The Insurance Act, 1938. Tarkk-e-Mawalat Movement of 1905, the Non Cooperation Movement of 1919 and the Civil Disobedience Movement of 1929 were real milestones in the development of insurance in the subcontinent as these movements were primarily responsible for eliminating a substantial amount of foreign competition. These movements promoted the boycott of British goods and institutions. Indigenous insurance offices thus derived sustenance from the growing nationalism of the time. During this period Muslims did not hold any important position in insurance companies; owning such a company was unimaginable. This state of affair generated great anxiety among Muslim minds. Thus, Abdur Rehman Siddiqi, Ghulam Muhammad, Dr. M. A. Ansari, Khondkar Fazale Haider, and others, after consultation and taking other prominent Muslim personalities into confidence, launched Eastern Federal Union Insurance Co. Limited in Calcutta, on 1st Sept 1932. The story of Khuda Buksh, as the Life Insurance Icon of the Subcontinent, starts with the birth of Eastern Federal Union Insurance Company Ltd.
My father, Abdul Hamid Farid (1898-1974), who had his law firm in those days at Kurla, a suburb of Bombay, told me that he was very well-acquainted with Abdur Rehman Siddiqui, who used to visit prominent Muslims of Bombay (Mumbai), Poona (Pune), Ahmedabad, Surat, etc. soliciting their support and influence to subscribe for the shares of the proposed insurance company. Abdur Rehman Siddiqui always emphasized that, besides providing insurance cover, the main objective of the venture was to open up opportunities of employment for the Muslims as well as to prove their mettle in the insurance business. A. R. Siddiqi faced lot of difficulties and disappointments in raising the initial capital for the venture. He realized that the support of some prominent Muslim industrialists was, ultimately, of great importance. The financiers and industrialists were not coming forward to sponsor the proposed company, as they did not think it showed great promise of generating money. The only daring Muslim industrialist, to come forward at that time, was Mirza Ahmed Ispahani, who agreed to take the balance of the shares and also promised to place his entire business with the proposed company. Substantial subscriptions were also obtained from the states of Hyderabad and Bhopal. Both, His Highness, Sir Sultan Muhammad Khan The Agha Khan III, and Prince Hamidullah Khan The Nawab of Bhopal, consented to become the patrons of the proposed company. Eastern Federal started its life business operations from 1st January 1936. During this period of awakenings, Muslim entrepreneurs of Lahore and Bombay launched two more insurance companies e., Muslim Insurance Company Ltd. and Habib Insurance Company Ltd., in 1935 and 1942, respectively. Abdur Rehman Siddiqui retired in 1950 from Eastern Federal; and, M. A. Ispahani, being the majority shareholder, took the reign of Eastern Federal as its Chairman. 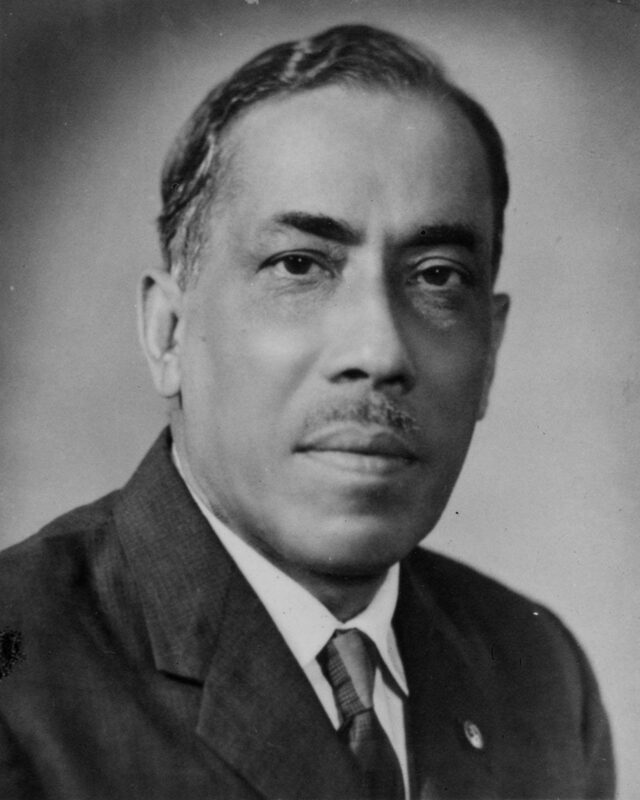 Abdur Rehman Siddiqui was subsequently appointed as the Governor of East Pakistan in 1952. He died in Karachi on 23rd May 1953 at the age of 64. With this the life of a great Muslim, a freedom movement activist, an ex-Mayor of Calcutta (Kolkatta), an outspoken orator, a politician, and a journalist, as well as a visionary entrepreneur, came to an end. Eastern Federal shifted its Registered Office from Calcutta to Chittagong in 1952. It had its Branch Office at Karachi at Lloyd’s Building, McLeod Road (now “I. I. Chundrigar Road”). Akhtar Azad, son of Barrister Azad, was the Branch Manager of Eastern Federal. He was not only influential but an exceptionally fine gentleman. Akhtar Azad also represented Habib Insurance Company and Scottish Union in the aforesaid office. Khondkar Fazale Haider, one of the founding members and a director of the Eastern Federal, was a close friend of Prince Hamidullah Khan the Nawab of Bhopal; and was also a senior cabinet member of the State of Bhopal. He was very well connected and had built his own political influence in the subcontinent. On account of political as well as financial constrains, Mirza Ahmed Ispahani, in 1951, in consultation with Abdur Rahman Siddiqui and Ghulam Muhammad, the then Governor General of Pakistan, replaced T. Baxter, the then General Manager of the company; and appointed K.F. Haider as the General Manager and Chief Executive of the company. K.F. Haider headed Eastern Federal as its Director and General Manager from 1st January 1952 till 1960. After which the Government of Pakistan appointed him as the Chairman of Pakistan Insurance Corporation. Wisaluddin a determined fighter, long coveted the opportunity to be the top slot of EFU. He had a tug of war with the top echelon of EFU; and insisted that he would resign with all his brothers, family members, colleagues and friends, if his demands were not acceded to. Wisaluddin, and his brothers Risaluddin, and Slahuddin were all working with the company. Their father, Jalaluddin, was also a regular visitor at the Eastern Federal’s office. Wisaluddin had acquired many years of experience of working with Sun Life of Canada. He was an orator par excellence, and had an impressive and charismatic personality. I worked with him in American Life Insurance Company for three years and closely observed his style of leadership. He was, no doubt, a very ambitious and dynamic person. Syed Muhammad Junaid, retired Deputy General Manager and the founder Principal of State Life Training Academy, author of two books, who was with Eastern Federal from 1952 to 1956, says it was a common knowledge that Wisaluddin was paid more salary as the Life Manager of Eastern Federal than the salary drawn by K.F. Haider as the General Manager of the company. Mr. Naimuddin Khan, (R) Assistant General Manager of State Life, who was the head of the renewal department of life business with Eastern Federal from 1948 to 1956, says, “Wisaluddin was stationed at Lahore as the Controller of Branches. His younger brother, Jamaluddin, an honest, thorough and dedicated gentleman, was sent to East Pakistan to look after the life business of the company . In October 1951, suffering from pneumonia Jamaluddin died there. The date coincides with the assassination of Liaqat Ali Khan, the First Prime Minister of Pakistan. After the death of Jamaluddin, the company was also in urgent need of an experienced marketer who could develop its life business in East Pakistan as successfully as Wisaluddin was doing in West Pakistan. Eastern Federal continued its business in its birthplace i.e. Calcutta, looking after its clients in India and Ceylon (Sri Lanka), till insurance business was nationalized in India on 18th June 1956. Like Eastern Federal, Habib Insurance Co. Ltd. also migrated to Pakistan but established its Head Office in Karachi. As such, Pakistan inherited only three life insurance companies owned by Muslims, besides Postal Life Insurance which was introduced through establishment of the Post Office Insurance Fund in 1883, and run by the Central Government through Director General Post and Telegraph. EARLY LIFE OF KHUDA BUKSH. Khuda Buksh was born on February 1, 1912, in Damodya, Faridpur District, East Bengal, the same district where the father of Bangladesh, Late Mujibur Rehman was born. Regarding the early life of Khuda Buksh, his younger son, Mr. Obaidur Rahim says, Khuda Buksh was the eldest son of Sonabuddin Howladar and Arzutuneesa Begum. He passed the entrance examination in first division with distinction in mathematics from Shyamacharan Edward Institution near Damodya. . He passed Intermediate examination from Calcutta Islamia College (Now Abul Kalam Azad College) in the first division. Later he joined the prestigious Calcutta Presidency College but could not pursue his B.A., as he fell seriously ill. During all this time in Calcutta he stayed with the family of Late Habibur Rahman of Faridpur who helped him pursue his education as it was a financial strain for his family to send him to a college. At the advice of a teacher he took a part-time job as a Librarian in the Presidency College. In the meantime, he was inspired to insurance by Atahar Ali of Barisal who was very impressed with Khuda Buksh’s dealings with people and his highly developed sense of persuasive power. In 1935, at the age of 23 Khuda Buksh became the first Muslim to join the field force of Oriental Government Security Life Assurance Company in Calcutta. Erwin C. Iven was the Deputy General Manager of Eastern Federal since 1st May 1948, at its head Office in Calcutta. He had become very close to the Ispahani family while representing the Allianz, the then largest German Insurance Company in 1937 in Rangoon, Burma. He was not only friendly with the European community but was also on amicable terms with the local businessmen and industrialists. Knowing his great gift of socializing with people from all walks of life he was also appointed by the German Government as their Honorary Consul in Rangoon. Mr. M. A. Chisti, who started his insurance career with Eastern Federal in 1947, states that at that time Muslim Insurance Company and Ideal Life (formerly Indian Life) were very active in the Eastern Wing. But, Khuda Buksh proved his mettle and starting from scratch developed the life business of the company to such a height that not only Eastern Federal but also Khuda Buksh himself became a household name there. Continued at Khuda Buksh – The EFU years and Khuda Buksh – Tributes from the field force. Previous Previous post: Liquidity gap – Implementation.